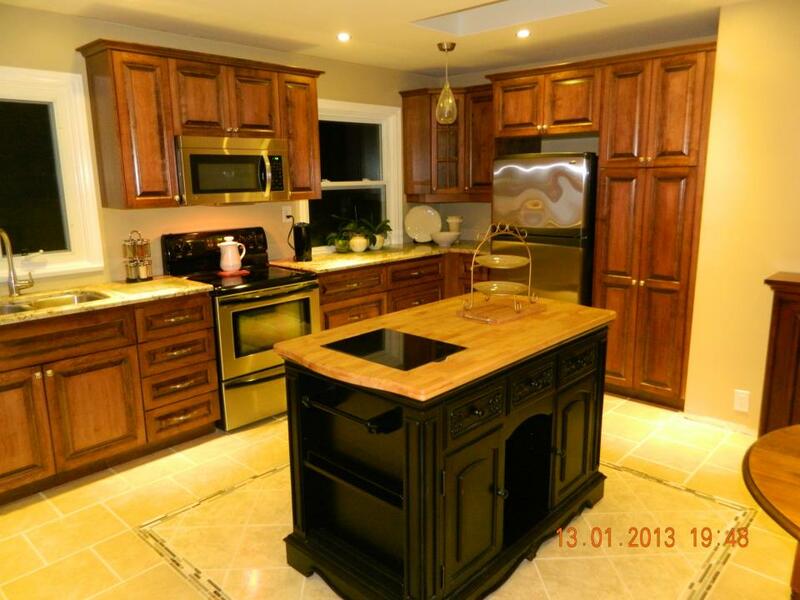 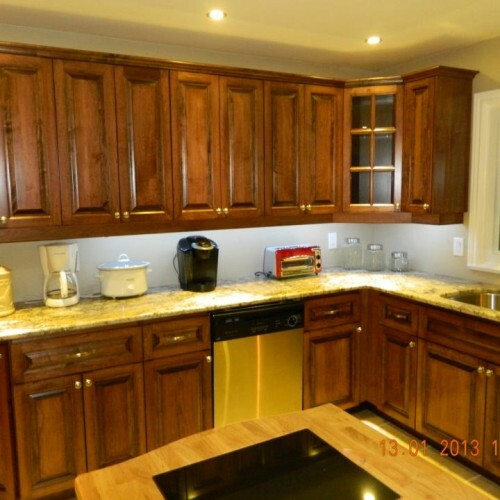 This kitchen was designed and crafted for a newly renovated home in Port Hope, Ontario. 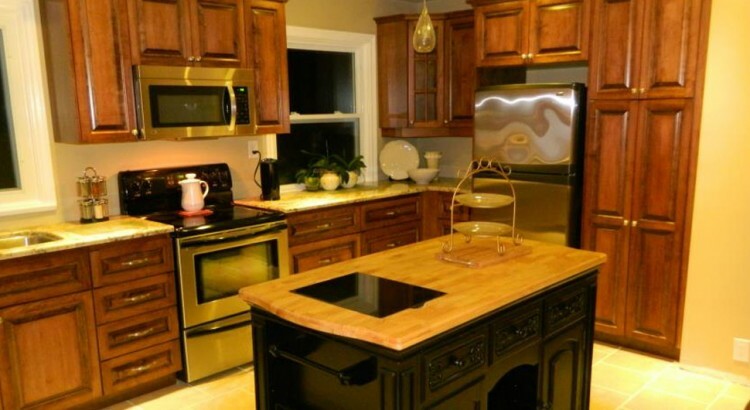 Every attention to detail went into the design and space to create a gorgeous yet functional kitchen. 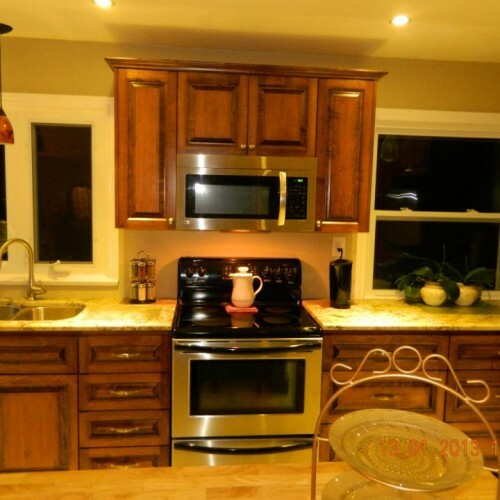 The raised panel cabinet doors add a touch of class to this design. 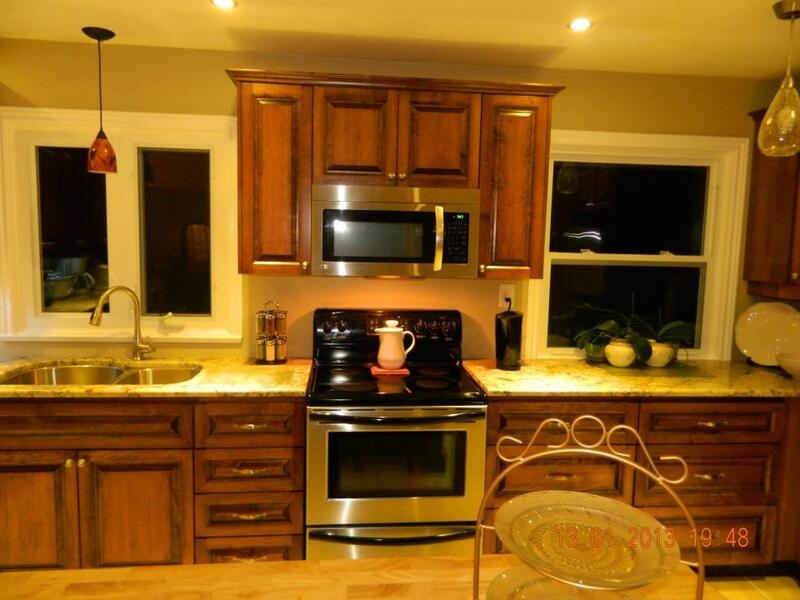 Special touches include corner cabinets with glass doors and finished interior for a real nice way to display those special pieces. 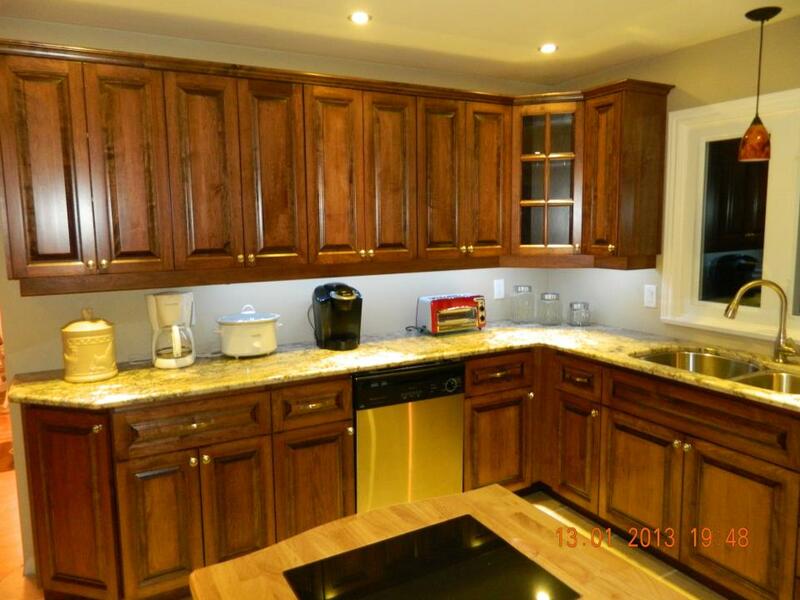 Under cabinet lighting compliment the granite counter tops to bring the whole room together. 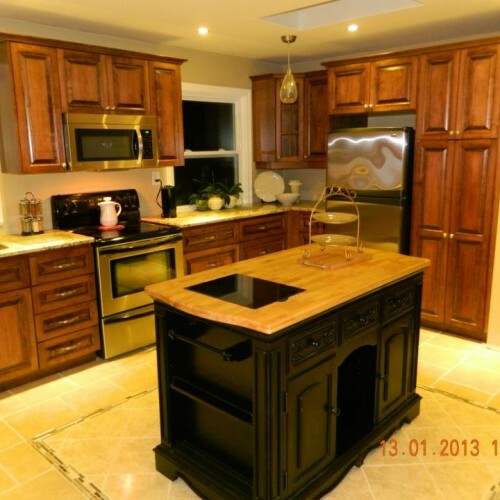 The kitchen island boasts a darker colour finish and butcher block top which really makes it stand out and gives this kitchen extra work and storage space.